ZD: The Russian media are clearly going through a rather difficult period. Officially censorship doesn't exist but everyone knows that key TV channels are tightly controlled by the Kremlin. Independent media are experiencing increasing problems and journalists; editors and media owners realize how vulnerable they are in their relations with the authorities. Let's focus on the media, specifically radio broadcasts funded from foreign sources. Under communism things were absolutely clear cut: in the evenings people listened to the Voice of America, BBC, or Radio Liberty if they wanted to learn about events in their own country or what was going on in global politics. Today things are more complicated; the arrival of the internet has changed the information landscape. But I suggest that we begin by looking back. Could you tell us about your first encounters with foreign radio broadcasts? AL: I must have been about seven years old, it was in the mid 1950s. My parents and I were living at our dacha; at that time all foreign broadcasts were jammed in Moscow but just outside Moscow reception was relatively good. And it was there, at someone’s dacha, that I heard these strange noises, a kind of wailing and humming. I asked what it was and was told it was the sound of jamming... They were listening over it to the Voice of America. MS: I recall exactly that I started listening to the BBC and Voice of America in 1973, during the Arab-Israeli war, because those stations weren't jammed as much. I was desperate for some information from another, non-Soviet, viewpoint... I started listening to Radio Liberty in 1980: during the Olympics there was a period when the jamming was weaker. ZD: Nowadays most people say that under communism foreign radio broadcasts were of colossal importance. Isn't that somewhat exaggerated? Would Gorbachov not have emerged anyway and brought about change even without Liberty, Voice of America, the BBC's Russian Service, or émigré journals such as Posev, Grani, Russkaya Mysl’? AL: No, I don't think so. Gorbachov had absorbed a culture passed on to him by Moscow's intelligentsia and that was what distinguished him from other communist leaders. The radio stations, in their turn, played a major role in shaping the views of the higher echelons of Moscow's intelligentsia. ZD: At some point Radio Free Europe/Radio Liberty opened offices in former communist countries, which led many people to believe that the fact they were able to open offices and function in those countries meant they were no longer needed. Mr. Sokolov, you were involved in establishing these broadcasts in Russia. Why did you fight to retain sources of independent broadcasting even when you knew that everything was changing? MS: The situation at that time these offices were being opened had not yet stablised; no one knew what would happen the next day. No one had predicted the events of August 1991, in a sense it was a historical coincidence, just as it was really pure coincidence that I was the one who got Yeltsin to sign the decree opening the Radio Liberty office. So the Moscow office of Radio Liberty existed as a kind of fall-back, knowing that we could be closed down at any moment. At some point, US officials started talking about stopping the broadcasts to Russia – they felt that democracy had prevailed. But then they realized this wasn’t the case. Just take all the ups and downs in the years 1991-1992; the dissolution of the Supreme Soviet in October 1993; the Chechen War in 1994; the second Chechen War in 1995; the Zyuganov-Yeltsin struggle in 1996; the market crash in 1998; another war in Chechnya, Putin and so on in 1999. It was Russia itself and the Russian government that prevented the closure of Radio Liberty. New evidence kept emerging showing how much Russia's reality differed from Western ideas of how real democracy works. ZD: Has the massive spread of the internet changed the situation? AL: It's a mistake to think that the internet is replacing other media. It enters into a complex relationship with pro-government or opposition media, rather than replacing them. People who get their information from the TV and newspapers can supplement it with news from the internet. Of course, there are young people who have gone over to the net completely, who don't see or hear anything else, and have never been interested in the information and news component of TV, but they are in a minority. Most people still keep an eye on what's happening on the TV screens. As for radio, to my knowledge the popularity of stations such as Ekho Moskvy [Rn. Echo of Moscow] hasn't been negatively affected by the growth of the internet. 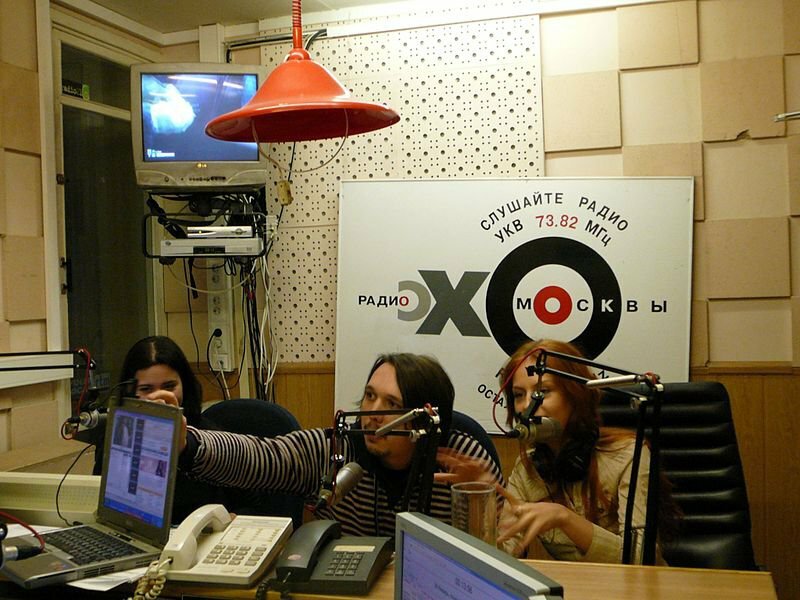 MS: The popularity of Radio Ekho Moskvy has increased because of its website, which has provided new opportunities and generated synergy between the site and blogs on the one hand and broadcasting on the other. It has developed into a major multimedia platform. AL: In this respect the idea of taking radio off the air and switching to the internet contradicts the claims of the sociology of communication. It’s as if you suggested we stop eating bread and start drinking twice as much water instead. The one doesn't replace the other. A certain number of listeners may have the technical prerequisites to make a complete switch from radio to the internet, but a significant proportion of Radio Liberty's listeners are people who are not so well versed in using the internet. And these people just lose the radio when it's taken off the air. MS: You see, half of Russia's population still doesn't use the internet. And several studies have shown that many of those who do, use it for various consumer purposes rather than for searching for information on current affairs. Why should the US bother? ZD: Let's imagine the US Congress were to invite us to address one of its sub-committees when next year's budget comes up for discussion. Your job is to convince the Americans to allocate money to radio broadcasting. Why should the US taxpayer, in 2014, pay for the upkeep of an overseas office of Radio Liberty? AL: Well, as far as I know, the American taxpayer has been brought up to believe in the global balance of values, and specifically that the US cares about the balance between good and evil in the world, between democratic values and their opposite. The American taxpayer knows that in Russia right now this balance is rapidly shifting in a direction the US considers undesirable. And in this context it is clear that media with a degree of independence play a crucial role. They don't necessarily have to broadcast from abroad; they don't have to represent only the foreign point of view. But journalists within Russia, who promote the values that are dear to the US Congress and the Founding Fathers, clearly need support. The RFE/RL headquarters in Prague. 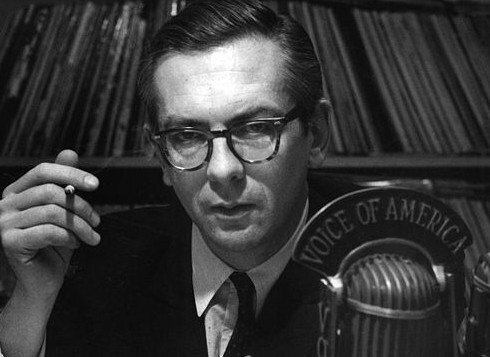 The 60th anniversary of Radio Liberty's first broadcast to the Soviet Union earlier this year was marred by Russian authorities' stripping of its AM license as well as controversial layoffs in its Russian Service. Photo (cc) WikiCommons/Petr Kadlec. Some rights reserved. ZD: A pro-Kremlin critic of this view will say that all this talk of good and evil is just clichés disguising the genuine, authentic interests of American imperialism. MS: Well, even if my funding came from, say, Ivan Ivanovich Ivanov, a local herring merchant, Putin would say anyway that I'm an ‘agent of foreign imperialism’ or an enemy of Russia's stability, simply because of the views I represent. AL: The thing is, the Kremlin has its own notion of ‘the people’ and this is reflected in its targeting. For example, the Kremlin view is that people believe unconditionally the assertion that he who pays the piper calls the tune i.e. if someone is receiving money from somewhere, then he must be an agent of his sponsor. This view does indeed exist among the people but other opinions also exist and there are many of them. But this particular view is simply construed as ‘the’ popular opinion. As for the public as a whole, it often regards a different point of view as very useful, even if it happens to contradict their own. A wide range of Russians would like to hear another point of view, of themselves and of their country, even if it is one they a priori disagree with. ZD: But you mustn't forget that Washington, too, might have its own interests. MS: Even if this mythical ‘Washington’ we’re now talking about didn’t have the slightest interest in the fate of democracy in Russia, it couldn’t completely close its eyes to what is happening there. The problem is that over the past decade this country has blocked all attempts to stop the development of nuclear weapons in Iran and North Korea. Are the Americans worried about nuclear weapons in those countries? Yes, they are. What else is there? Has Russia supported the Cuban regime? Yes, it has. Does it support the regime in Venezuela, a nasty regime, not conducive to the US geopolitical influence? It does. Does it supply the Syrian government with weapons? It does. It keeps coming up with all sorts of conditions for the transit of military equipment to Afghanistan, is uncooperative in negotiations and so on. Generally speaking, it behaves, to put it mildly, like a jerk! Even if we assumed that the US doesn’t care at all about journalists and politicians being killed in Russia and about every democratic principle being violated, it would still be in its interest for this country to be functional, pro-European and pro-American, to represent some kind of liberal alternative, whatever Putin might call it. All this is in the interest of both Russia and the US because even Yeltsin’s feeble democracy didn’t give the US as much of a headache in terms of foreign affairs as Putin’s semi-dictatorial, authoritarian regime has managed to. That’s all there is to it. However, if you help shape public opinion in favour of something sensible by means of such instruments as radio broadcasting or independent media, the regime can no longer seriously destabilise the global situation. That’s the main argument in favour of independent media. AL: Russia’s foreign policy is determined by the balance of power within the country. Russia needs democratic institutions to ensure that its foreign policy course is not dictated by people who sympathise with regimes of Assad’s or Chavez’s ilk. ZD: So when we talk about the crucial importance of support for the media from abroad we’re basically talking about independent public institutions in Russia? MS: Of course! We are often asked what point is of having one or two additional media outlets openly funded from abroad when we have some self-financing media here. And my answer is always: just look at what’s been happening recently and you’ll see that a) there are increasingly fewer media and b) those that exist are increasingly less independent. Editorial teams in a variety of media are constantly being purged. People representing certain views, even moderately pro-Western ones, are being purged. Note what has lately been happening with the Kommersant group, what methods are being used to compel it to change course. Other publications are being marginalised, losing the financial support of businessmen; the businessmen are being approached by state security officials, their businesses are being harassed. You know the situation at Novaya Gazeta: it’s been squeezed so hard that it can hardly breathe and its owner, Alexander Lebedev, is on the verge of bankruptcy. And no amount of crowd-funding can cover the shortfall. When opposition activists are being detained left, right and centre, it makes fears mushroom. And that, in turn, restricts the leeway of independent media, although some pseudo-independent media do exist. The problem is that they have been infiltrated by Putin’s people. Everyone knows that the Kremlin briefs editors-in-chief, and although half of them are formally independent, they too receive direct instructions concerning who to write about, whom to invite and whom not. It’s no secret that freedom of the media in Russia is just a sham. The total number of independent media left in Russia is, at most, today, some three or four. ZD: Is the current media landscape in Russia really so dismal? MS: All ‘independent’ radio stations follow instructions from the Kremlin administration to a greater or lesser degree. The same applies to the Rain TV station – formally it’s independent but it can’t afford to do certain things. In my view the only genuinely independent publication remaining in Russia is Novaya Gazeta. ZD: One can’t fail to notice that in the West the interest in supporting democratic society in Russia is on the wane. AL: Well, the West is disappointed. They understand that on the whole this project has failed. They thought Russia would join the common European home, the European family, within two to three years but this did not materialize. Nor has it materialized within ten years and now, in the opinion of the majority of the population, the likelihood of it doing so is near zero. This is a cheerless country that has turned its back on the West and has started finishing off its opposition. MS: What’s happening now is a completely familiar situation from a historical point of view. To be honest, I’m surprised that it hadn’t been predicted. Because, after a while, every revolution is followed by restoration. But what can these people be expected to restore, those who were raised by the KGB and have never even left the Communist Party of the USSR, people like Vladimir Vladimirovich Putin and his associates? What kind of restoration can we expect if all the restorers have a Soviet mindset? AL: I believe that early on, right after the collapse of the USSR, it was possible to speak of a democratic project, at least in the minds and speeches of politicians, but these days this is quite insignificant. Nowadays something else is at issue: the state Russia is in. What’s really going on here? Are we sliding into a completely dysfunctional condition and are we doomed to stay there for many years to come? Or are we going through a rather difficult but nevertheless, transitional, period? That’s the key question. And that is why the radio and independent media play a vital role in preserving some democratic institutions, at the very least in the form of some intellectual frameworks that will start operating again within some foreseeable future. MS: You can always make comparisons, look for analogies and ask yourself what’s preferable: the Shah or a fundamentalist Ayatollah regime in Iran? What is preferable: early Putinism, the time when NTV, TV-6 and Radio Liberty were still working and were re-broadcast across Russia, or some future, decrepit Putinism, one supported by young people in cassocks, Orthodox fundamentalists? Surely you agree that secular authoritarians are preferable to religious fanatics? Aren’t we seeing a tendency in Russia to strengthen the religious hierarchy and to use fundamentalist Orthodoxy as a political force? AL: In this respect, compared to the US, we are, metaphorically speaking, on the other side of the hill. We are climbing up it while others are already on the way down. We’re simply at another stage of development. Russian and American fundamentalism are also on different sides of the hill. MS: But I would say that this has to do with our lack of experience and historical backwardness, and that compared with the West we are somewhere at the stage of the 1960s or 1970s at best. What does Putin’s regime resemble? I remember very well how popular it was in the Soviet days to expose autocrats, Latin American dictators, or Greece’s ‘black colonels’. From this perspective it’s hard not to notice our historical backwardness. And that is why, naturally, our fundamentalism is different. In this country, the kind of problems that are highly relevant now are the ones the West overcame a long time ago. ZD: I expected our discussion to be much more straightforward. I was hoping to hear your views on foreign funding of the Russian media. But it has transpired that there’s no way we can tackle this issue without discussing a number of other, more global issues. Talking to you has made me realize how difficult it will be for Russia to articulate the necessary answers without fully independent media, without a number of strong platforms for free intellectual debate. Let’s hope that the American taxpayer, international foundations, and private donors will understand this and extend their support to radio stations, journals, and internet resources that help Russia to talk to itself. openDemocracy Russia will be running two roundtables at the International Journalism Festival in Perugia, Italy on 26/27 April. For more details, visit: journalismfestival.com . Founding editor of oD Russia Zygmunt Dzieciolowski will be taking part in the panel discussion on Russia’s Investigative journalism.